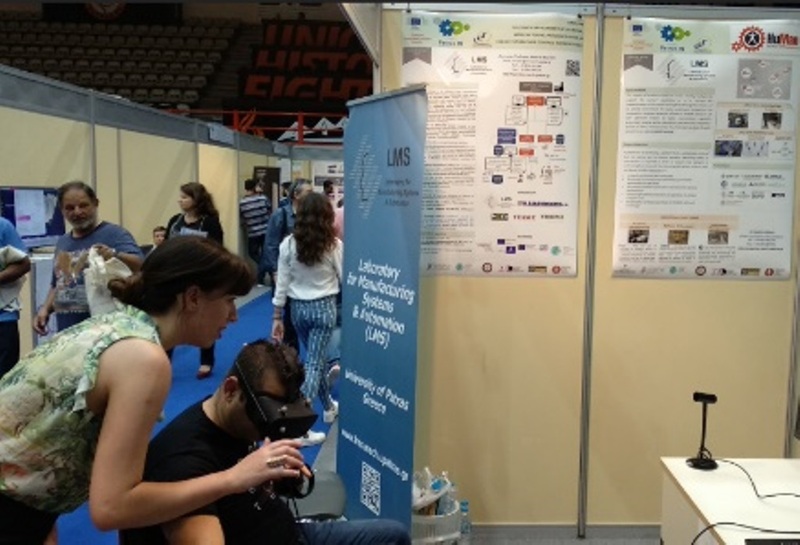 The 5th Patras Innovation Quest Exhibition is co-organized by the Ministries of Education, Research & Religious Affairs and Economics & Development, Patras University, Achaia Chamber of Commerce, Western Greece, Hellenic Open University and Technological Educational Institute of Western Greece. Having one of the largest booths, the Laboratory for Manufacturing Systems and Automation disseminated the HuMan concept and results and demonstrated the Worker Optimization Service (WOS) prototype for the workplace improvement utilizing Virtual Reality technologies. The attendance of visitors exceeding 5,500 showed that society and the business world have embraced this effort while at the same time the events were attended by distinguished scientists, important contributors to innovative entrepreneurship and the political world.